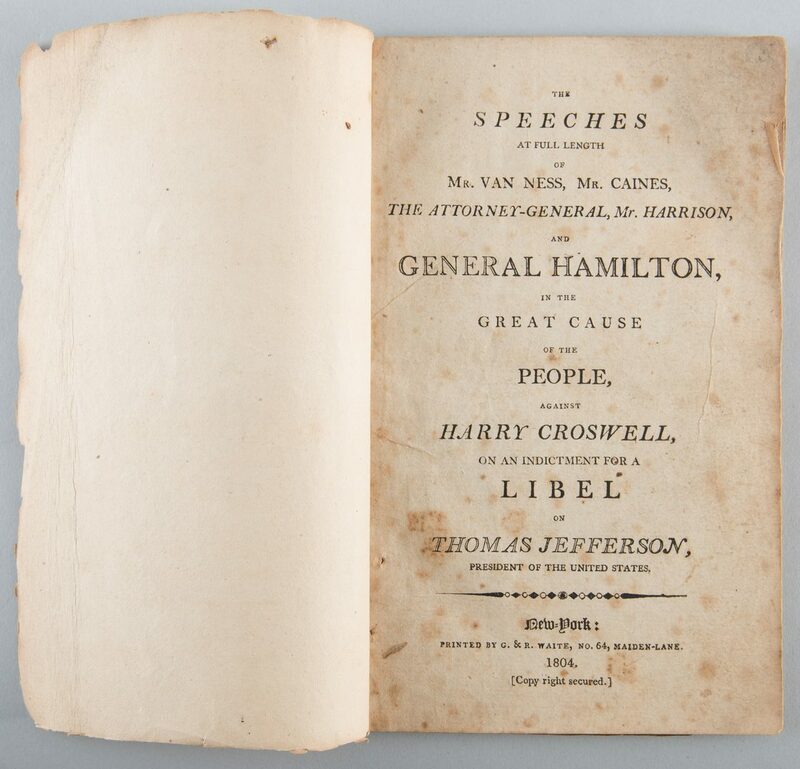 The Speeches at Full-Length of Mr. Van Ness, Mr. Caines, the Attorney-General, Mr. Harrison, and General Hamilton, in the Great Cause of the People, against Harry Croswell, On an Indictment for a Libel on Thomas Jefferson, President of the United States.78 pp. New-York: Printed by G. & R. Waite, 1804. Important pamphlet in the early formation of defamation law. 8 1/8" H x 5 1/8" W x 3/8" D. CONDITION: Blank wraps; some pages have light foxing. 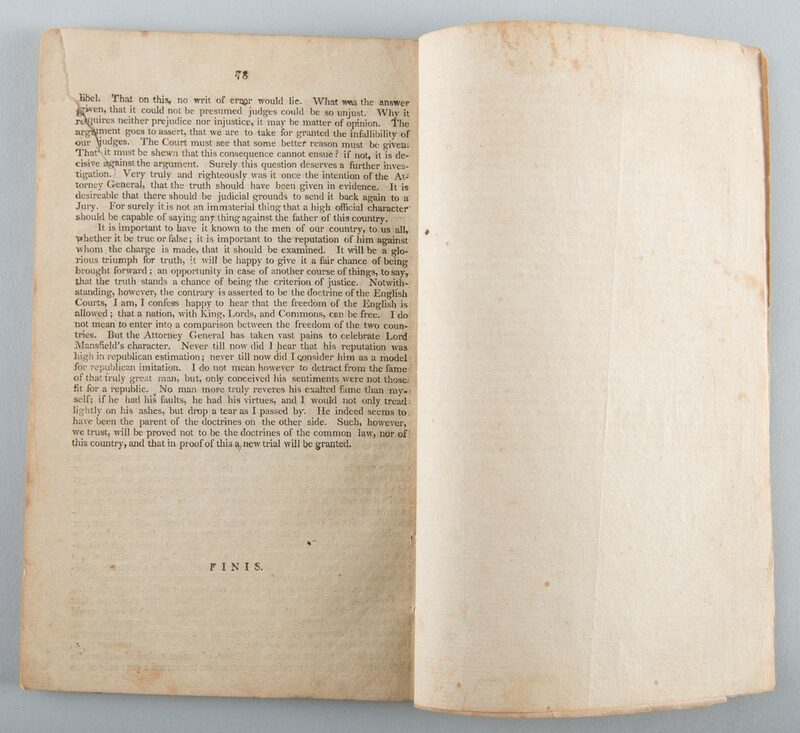 p. 77 has 2" closed tear, all text present, otherwise pamphlet in good condition.